Thanks so much for visiting and your lovely comment, Gun. 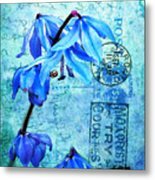 Thank you to M and L Creations for featuring this work in 'Artistic Innovations'. Thanks Lyric. Your comments are always welcome. Thank you for the lovely comment, Heiko. Thank you, Lyn. Such a nice comment. Beautiful image and engaging concept! Thank you, Andrea. I appreciate it. 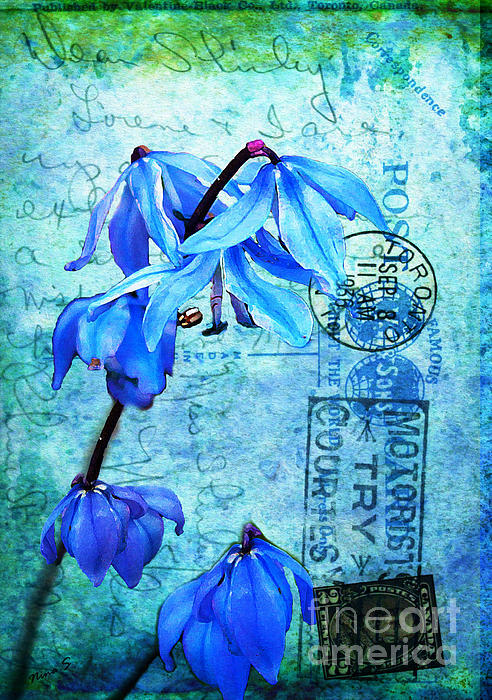 Thank you to Bruce Bley for featuring this image in 'Beautiful Flowers'. Thanks Alberto. I really appreciate your compliments. Thank you so much for your comments and support, Pamela. I came across a collection of old Toronto postcards. They made me think of the lost art of cursive writing, and how slowly it would have taken to send and receive small bits of information among friends and loved ones. Even the pens of the day were different. They were dipped in ink wells and had special calligraphy nibs on them. It was not so long ago in human history; and yet, decades before the digital age. This one was sent in 1936. 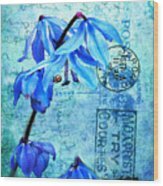 With the magic of digital art, I have superimposed the image of some early spring Blue Bells onto the image of the card. Both the Blue Bells and hand written post cards have been known to bring sudden surprises of joy. We receive them with great love and affection yet they are doomed to fade away in short order.